Can children be at risk for developing periodontal disease? Spring is finally here! Tips for a bright, white smile! Can your practice data survive a disaster? Are you sure? At Associates in Periodontics we hear this question a lot. While many people believe periodontal disease is an adult problem, studies have indicated that gum disease is prevalent among kids and adolescents. 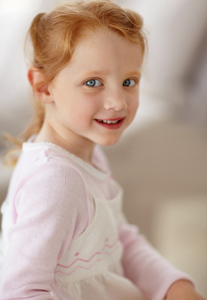 Gingivitis is a type of periodontal disease in which only your child’s gums are affected. Characterized by swollen and red gums that bleed easily, gingivitis causes an inflammation of the gums, and is the first stage and mildest form of periodontal disease. The good news is that gingivitis is often reversible. Treatment for gingivitis includes having your child come in for a professional teeth cleaning. It also includes daily brushing, which will help eliminate plaque from the surfaces of your child’s teeth. Your child should also get in the habit of flossing daily to remove plaque and food particles wedged in the crevices between his or her teeth. If left untreated, gingivitis can progress to periodontitis, the advanced stage of gum disease that can not only damage your child’s gum tissue, but also destroy the underlying bone which supports the teeth. Eventually, teeth can become loose and may have to be removed. In some cases, the bacteria from the ensuing infection may also be distributed to other areas of the body via the bloodstream. Having persistent at-home oral care regimen is a critical step in your child’s fight against periodontal disease. But sometimes brushing and flossing are simply not enough. Having your child’s teeth cleaned twice a year, or as recommended, is crucial. Early diagnosis of gingivitis and periodontitis is the key to a healthy mouth. If you are concerned your child is suffering from gum disease, talk to your dentist or give us a call at our South Burlington or Barre, office.